Lust for Youth Prepare Self-Titled Album, Share "Great Concerns"
Danish synth pop explorers Lust for Youth shared some Compassion via their last album back in 2016. This year, they'll return with yet another collection of lovelorn yet danceable tunes via a new album. 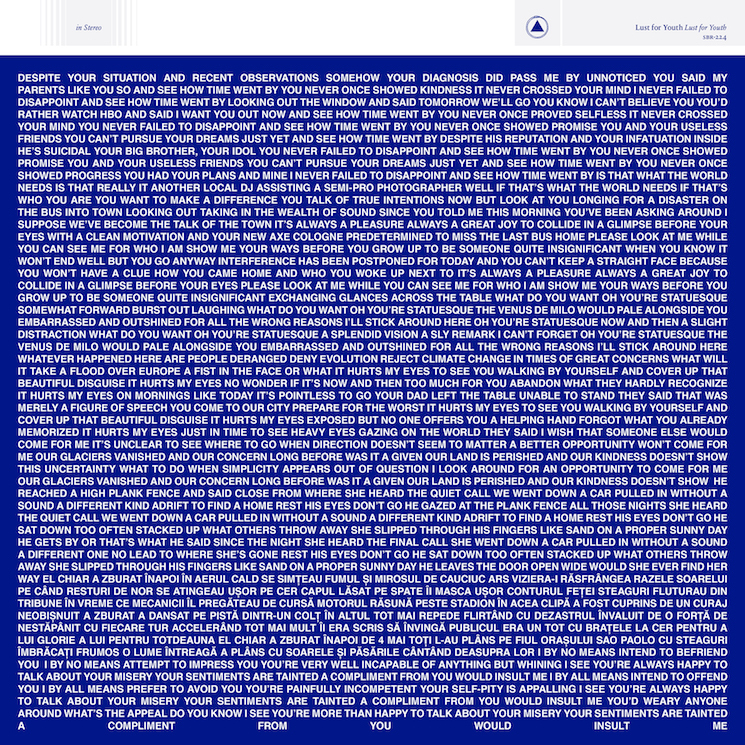 The release, which marks the project's sixth long-player, is simply called Lust for Youth and features eight new compositions. The first track available from the release is called "Great Concerns" and can be streamed in full below. According to a press release, here's what we can expect from Lust for Youth: "The album is driven by a dance-pop agenda, hustling its way through upbeat peaks that level out into reflective ballads. While still taking clear cues from a crop of austere synth-pop, Lust for Youth sound brighter than they ever have before, taking tips from some of the flirtiest Eurobeat to aid their new direction." Lust for Youth arrives on June 7 via Sacred Bones. Lust for Youth "Sudden Ambitions"